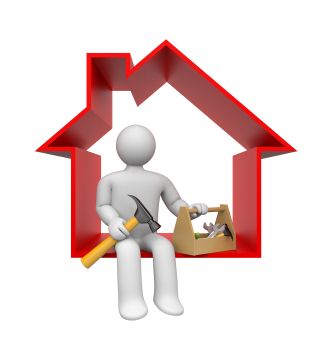 DIY stores in Spain offer a good selection of home improvement, gardening items and economical home decoration products. Check out our round-up of the major brands, how to find special promos and what their store cards offer. 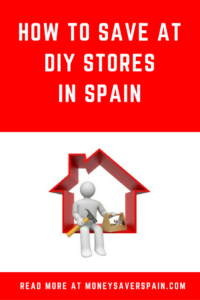 Leroy Merlin has stores all over Spain, including the Islands. In order to find their latest offers visit the promos section (promociones) where you’ll be able to look through brochures online. Leroy Merlin also has an online store with flash offers that last around two weeks, as well as an outlet with clearance items. Delivery costs depend on the size and weight of items and are shown at checkout. 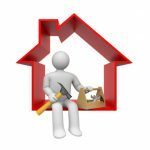 Many stores also rent tools and machinery – make sure you check the daily vs weekend rate as the latter is often better value (pick-up on Friday afternoon and return on Monday morning). Currently Aki only has stores on the Spanish mainland. To find their latest leaflets with discounts and offers, go to the promos section (promociones) which also includes the latest promos leaflets. To use the virtual Aki Store Card “Tarjeta SinFin” you just have to identify yourself by your ID number when making a purchase. When you sign up you automatically get 300 points; when shopping at Aki each euro spent = 1 point and every 500 points means a 10% discount on your next purchase. Additional advantages are a 10% discount when you change address or upon the birth of a child and 250 extra points are added to your account on your birthday. Remember to use the 10% discount offers when you need a high value item or lots of smaller items. Bricor is part of the El Corte Inglés group and has stores across Spain and the Canary Islands. They have a newsletter service if you want to receive their latest offers as well as more information at the bottom of the homepage. Online payments can be made with an El Corte Ingles store card as well as credit cards and PayPal. Delivery charges depend on weight. Watch out with the 3-month interest-free finance as it comes with a small arrangement fee. Part of the Kingfisher Group which owns B&Q stores in the UK, Brico Depot has around 20 stores on the Spanish mainland and you can see the latest catalogue for each store on their website. Bricomart stores are mainly aimed at the professional sector with around 15 locations in Spain including Gran Canaria. They have a small basic website where you can view their leaflets.